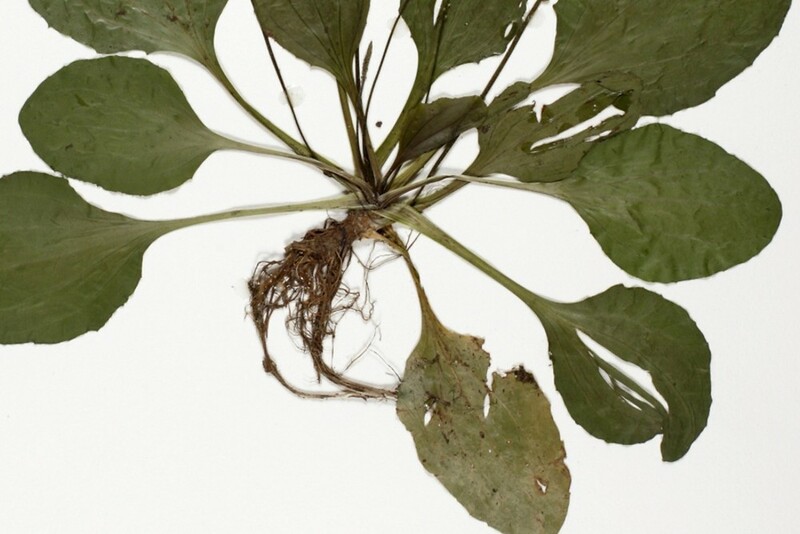 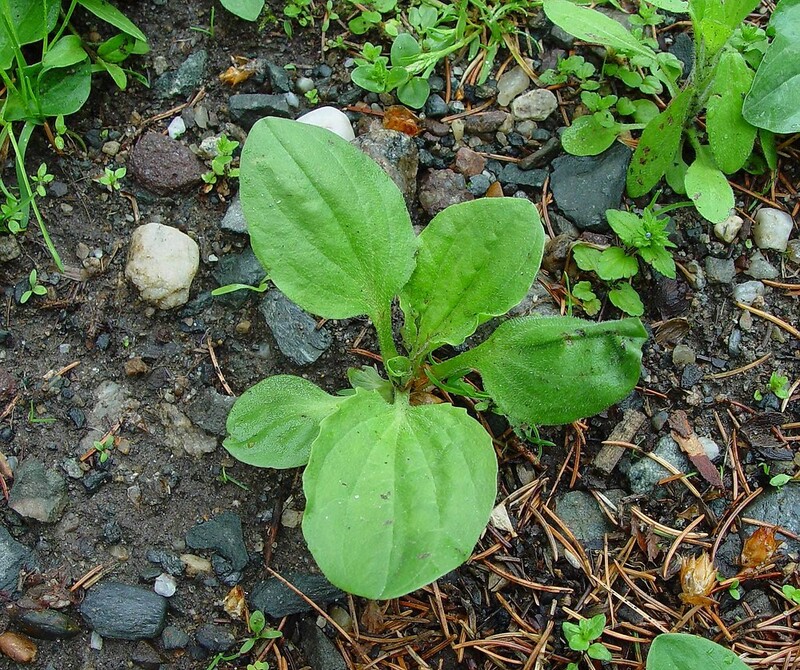 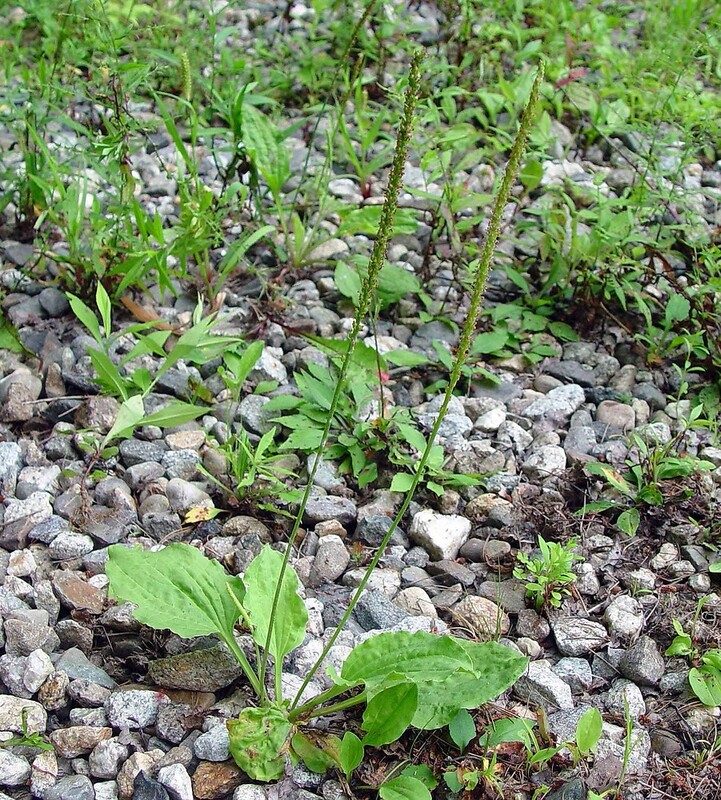 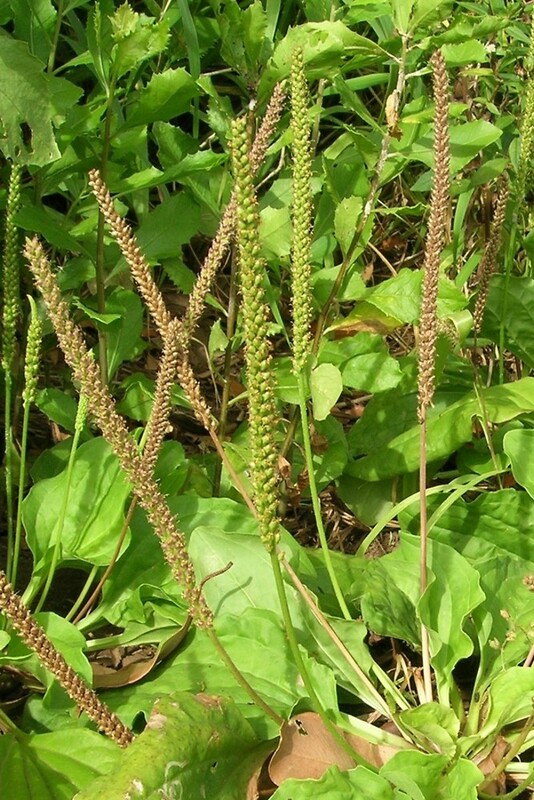 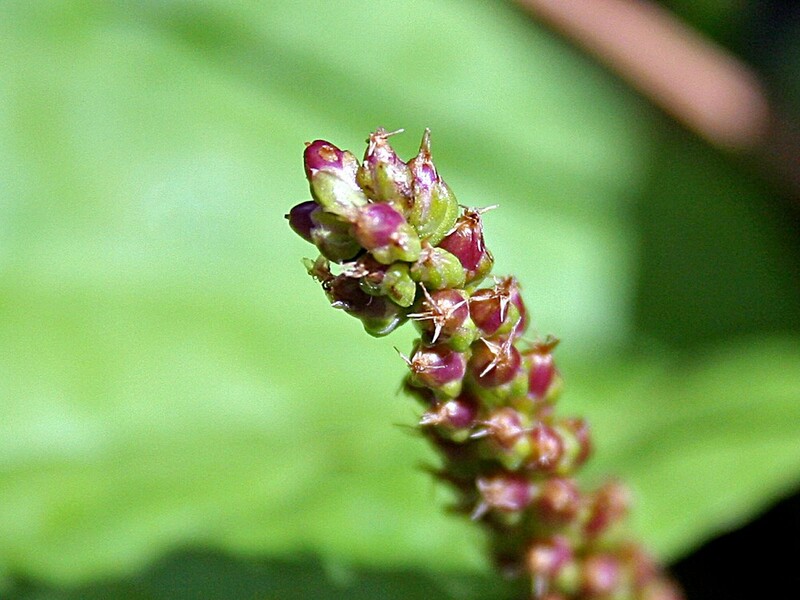 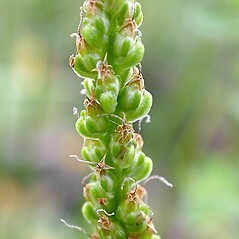 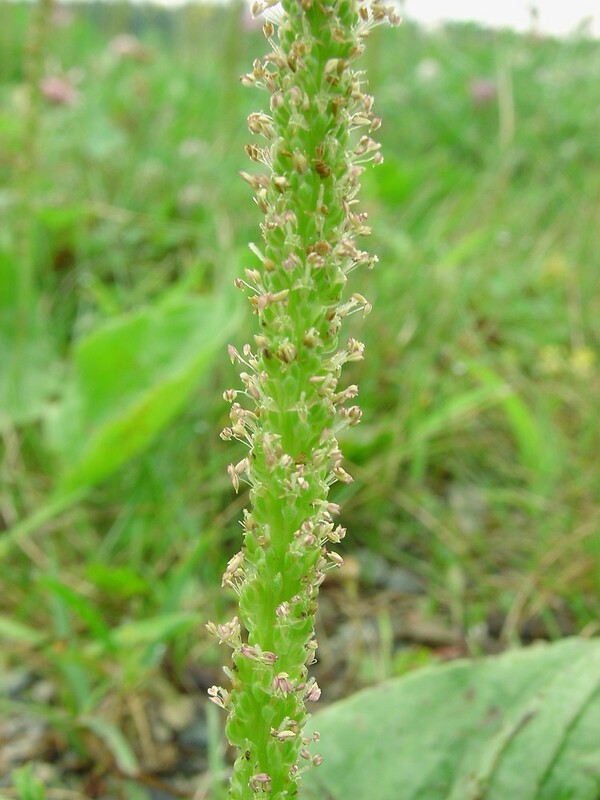 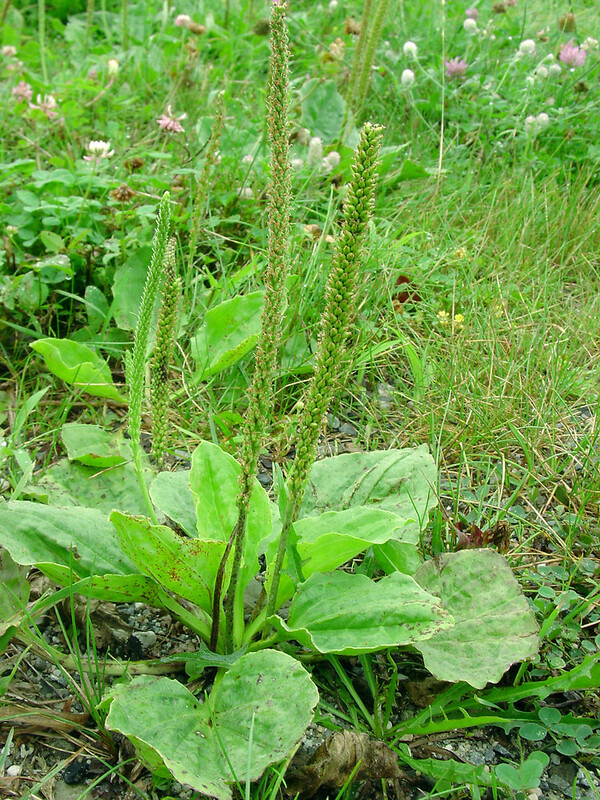 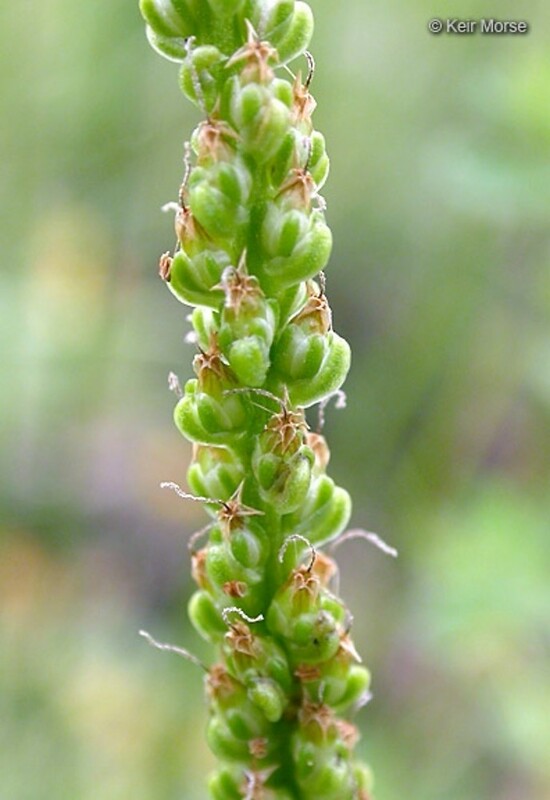 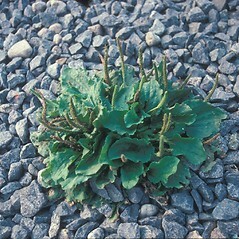 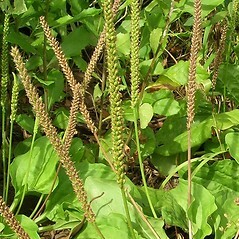 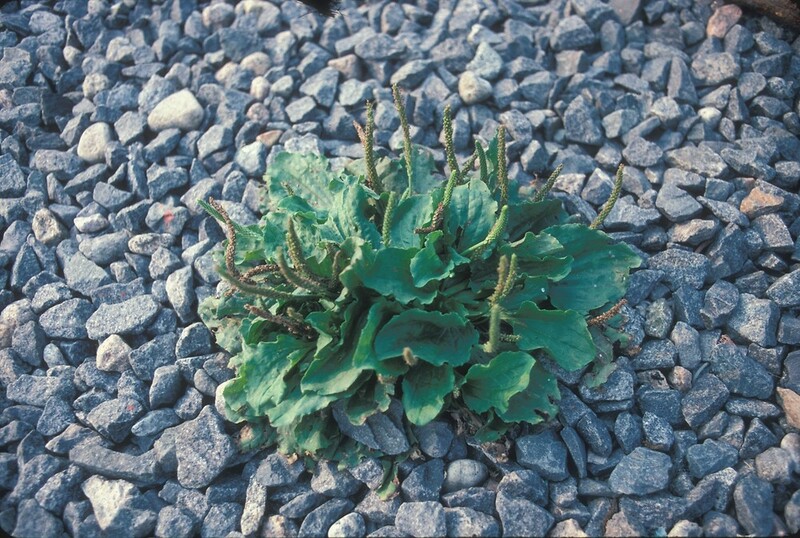 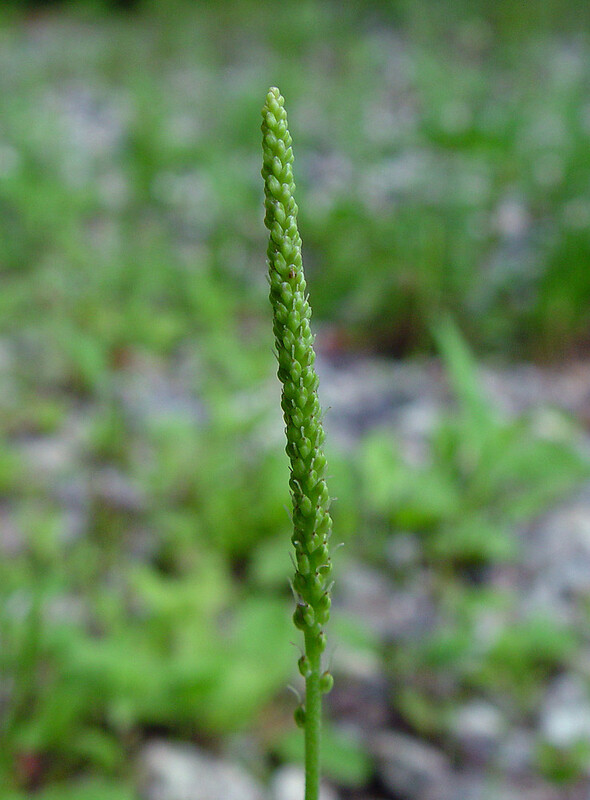 One of the most common lawn weeds after dandelion, common plantain also colonizes entirely artificial habitats such as fissures in parking lots. 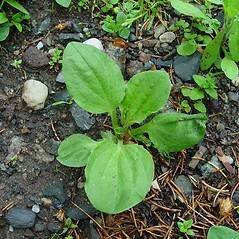 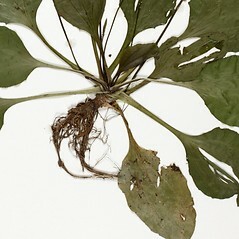 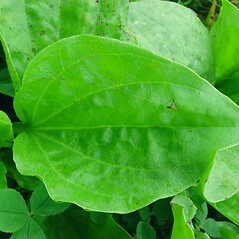 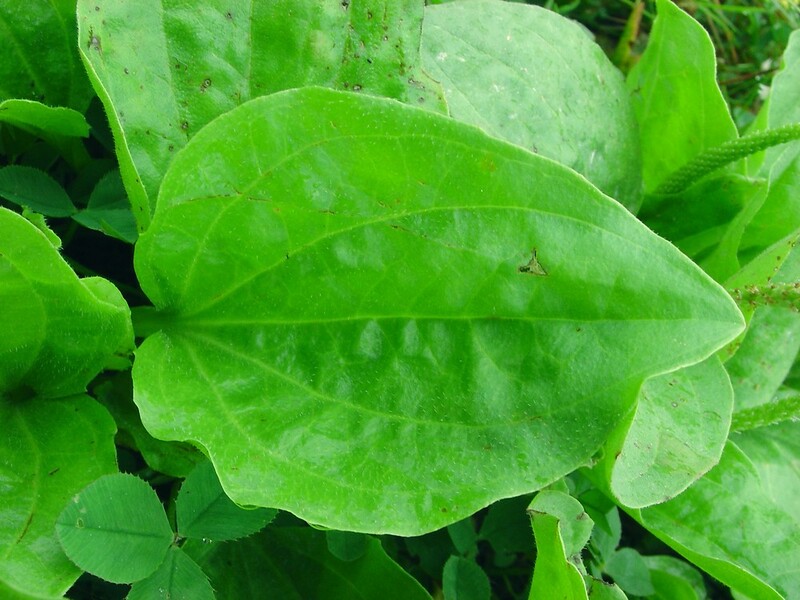 The species has medicinal properties and was widely used in herbal medicine in its native Europe. 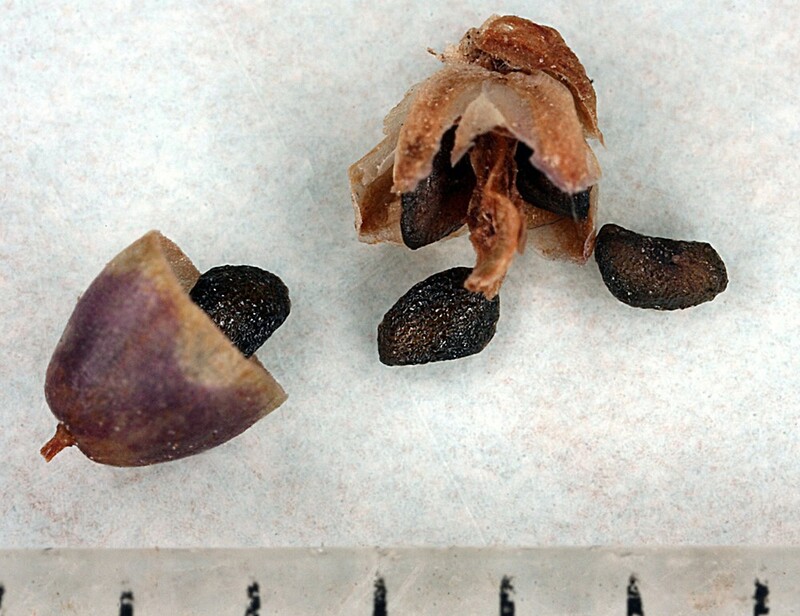 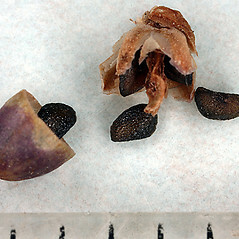 fruit with 2-4 seeds and primary root thickened and tuberous near junction with foliage (vs. P. major, with the fruit with mostly 6-11 seeds and roots slender). 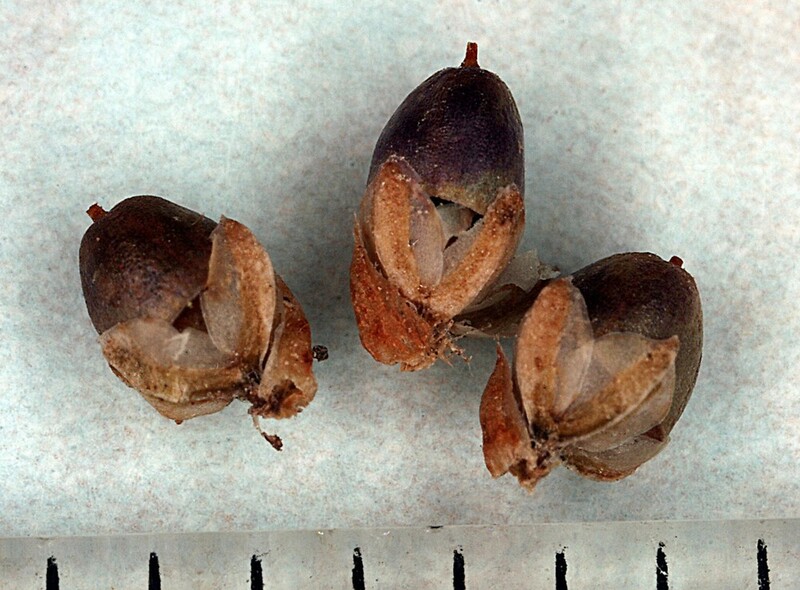 fruit mostly 4-6 mm tall, splitting open near the base, with mostly 4-9 seeds, and leaf stalks usually tinged with red or purple near the base (vs. P. major, with the fruit mostly 2.5-4 mm tall, splitting open near the middle, with mostly 6-11 seeds, and leaf stalks usually green or pale at the base). 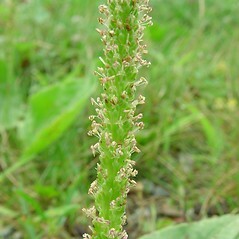 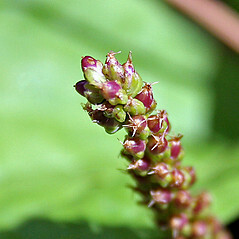 common plantain. 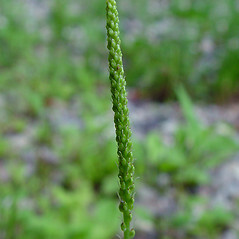 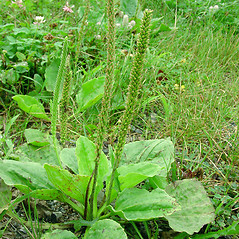 Plantago major L. var. 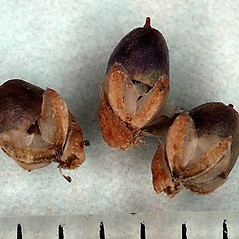 pilgeri Domin • CT, MA, ME, NH, RI, VT; throughout. 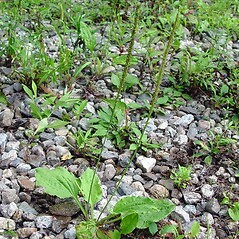 Fields, roadsides, waste areas, lawns, trail edges.